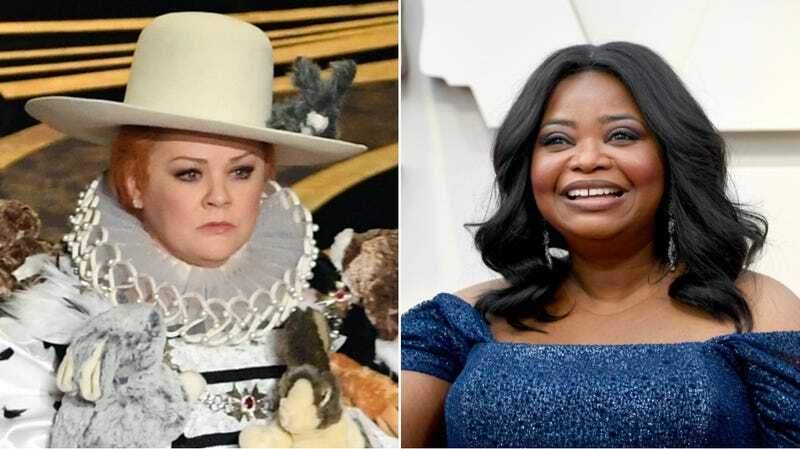 According to Deadline Melissa McCarthy and Octavia Spencer are both "wrapping up deals" to star in Thunder Force a Netflix movie about people "who obtain superpowers." That's all we know, so it's still unclear if this is exactly about two women who get superpowers or if there will be a larger Justice League-style team backing them up . It would be fun if there were a Chronicle -style twist where one of them became a villain, but we have no idea if that'll happen. If it is just the two of them, it better at least than with a stinger about them joining the Thunder Force initiative or something with some other famous people. Or, hell, maybe McCarthy and Spencer can just play themselves, reacting to the sudden super-abilities like they would in real life? Either way, Thunder Force will be directed by Ben Falcone, who happens to be McCarthy's husband, so there's a very good chance those deals are just fine wrapping up are going to work out.